"lol. How about stats?" Answer: "You are just basing on your own opinions." "that doesn't make karrigan or friis better than minet eighter." Unfortunately, it does. Hey c'mon, f*cking organization. 2 days in a row, they will play until 4:00? What an event. Cmon. Admins just can't start with a 4v5? For saying bullshits I guess. Read Molière, you will learn something about hypocrisy, dumbass. Why do you say "good luck tomorrow"? You don't even think it. 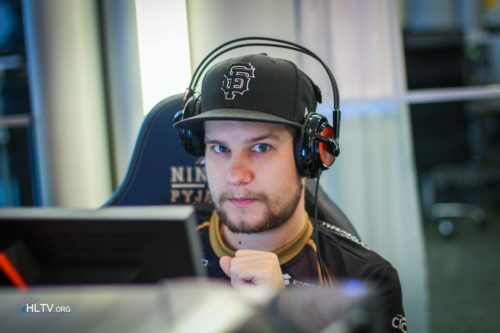 You're just waiting one thing: FX crushing SK 2-0. C'mon. Hf, SK, crush them. Don't forget to put the last round with ump45. Yeah, and he used to play really bad. "They are crazy about this, a win against swedish D team" "Seriously try to win something at lan vs our absolute top teams." Hm, k.
I get your point. French people must be sad because they don't win anything. Ok. How old? 12? Tape "France Sweden" in "HLTV demos", you will be surprised.